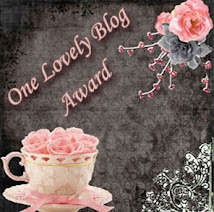 Rachel, so good to have you back on my blog, since I just love your books. By the way, I also really like your new picture, and you always have good covers. God has been so gracious and kind to me. I see Him on the horizon. Not to sound overly-spiritual or religious, but I see God’s hand on the writing horizon for me. I truly believe I was born to do this. I know what you mean. God truly createsd writers. I know that I'm living His destiny for me at this time in my life. Tell us a little about your family. I’ve been married sixteen years to my fabulous, kind, Jesus-loving hubby. We don’t have children, but two very sweet dogs and ornery cat! I keep in regular touch with my siblings and parents, and have a wonderful church family. Oh, wow, yes. One, I don’t have as much time to read, and when I do, I approach the book as a writer which takes all the fun out of reading. I’m also more particular about what I read. I look for different and new authors. Reading widely helps my writing. I recently discovered Scottish author Maggie O’Farrell. Love her voice. I am a worship leader at my church, and with a multi-church prayer ministry, Fire Dweller. I love to exercise and read, and watch old tv shows and movies. I love to hang out with friends, watch sports, especially college football. But I stay busy and don’t have a lot of time for hobbies. You know, it just depends on the characters, on what I want the book to be about. For the NashVegas books, Nashville was crucial to the stories since the characters were in the country music scene. For Sweet Caroline and Love Starts With Elle, I purposefully picked the South Carolina lowcountry because it seemed to be a fascinating literary setting. For the series I’m working on now, I’m creating fictional towns but keeping true to the setting of small communities in Tennessee and Iowa. I advise if an author wants to use a real place, visit the location. It helps a lot. Otherwise, make one up and have fun, like Stars Hollow in the Gilmore Girl television show. Only one? Nooo, I can’t answer that, Lena. Not fair. I’d say Solomon, or Paul. Shakespeare! I’d love to hear about his writing process, and see how fifteenth century England reacted to his work. I’d love to spend time with America’s founding fathers, men like George Washington and John Adams. I wish I’d been more aware of the business side, and had advice on questions to ask my publisher. But, I’m learning and think this is a journey that’s different for each author. That is so true. What is the answer for one author might not apply to you or me. What new lessons is the Lord teaching you right now? It was the most freeing feeling. I felt bold and confident. I knew in that instant God was so good that whatever He chose for me, I’d be content, happy, in His will. I guess the obvious thing most Christian authors do is pray, ask God what to write. I highly recommend praying and seeking the Lord, but don’t over spiritualize it. Writing is work. And no matter how much you pray and hear from God, your work will get edited and changed, and mostly like rejected a time or two. It’s part of the process. Keep going forward. Be disciplined. Backside in chair. Network, learn, read, read, read. Love Starts With Elle is a romance set in the South Carolina lowcountry. 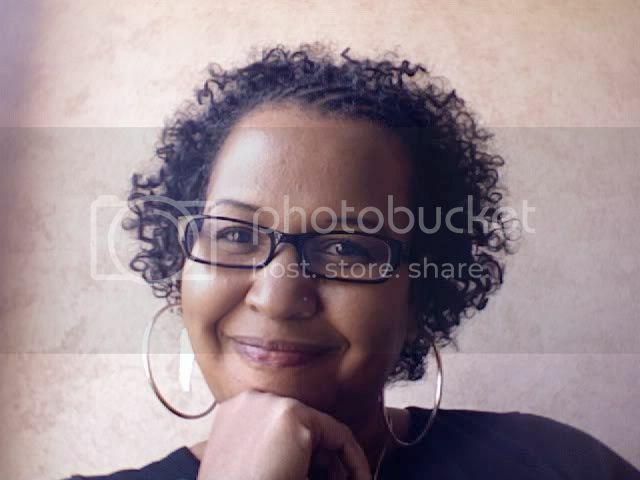 Elle Garvey is an artist and gallery owner who finds herself on a journey of love and faith. Elle is a woman who knows what she wants, and when her pastor-boyfriend proposes, she definitely says yes. But, the relationship doesn’t turn out as she expected. Within a few months, Elle finds herself living in the studio over her garage, without a job, future, or fiancé. Prayer is her journey to finding God’s plan for her. There’s a cool subplot too with one of her sisters. I’m all over cyber space (ha!) but stop by my web site at http://www.rachelhauck.com/. Thanks so much for having me visit, Lena! Rachel, I always enjoy spending time with you. 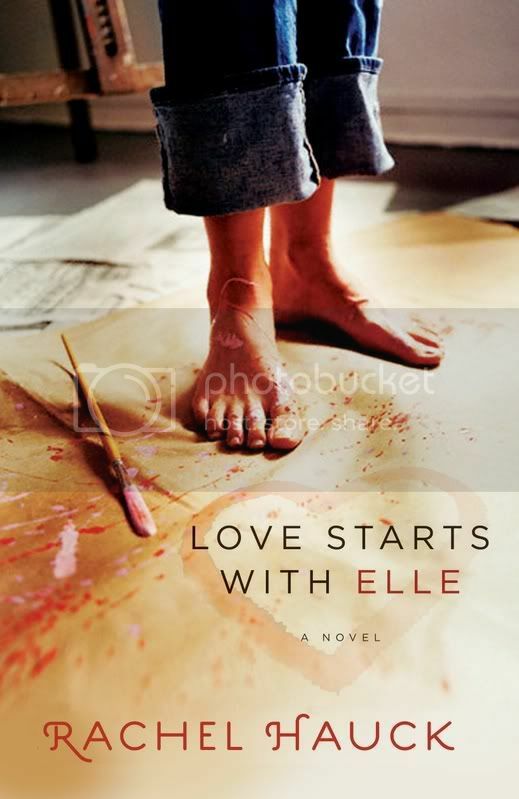 Readers, check out her web site, but not before you leave a comment here for a chance to win a free copy of Love Starts With Elle. Anita Mae is the winner of A Passion Most Pure by Julie Lessman. 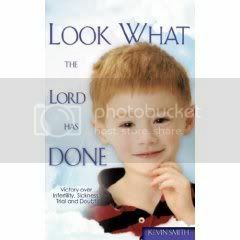 Pamela J is the winner of Look What the Lord Has Done by Kevin Smith. Email me your mailing addresses. There's a link in my profile on the right. With great pleasure, I welcome Claudia to my blog. I've been interested in her writing career for several years. Claudia, I love your picture. . .and that cover. Wow! Oh, man. I put a ridiculous amount of auto into my characters. I put quite a lot of the people I love in there, too. My life is one big quirk, Lena. I’m truly Queen of the Goofballs. I was about ten years old. In the fifth grade, I think, and I stumbled across an abandoned scrap of paper in the hallway at school. Someone had written a play, and there was something about seeing those lines of dialogue. I just knew I had to write a play, too. It was just that weird and random… or maybe that was destiny. There are all kinds of books by my bedside. I find when I’m writing I read a lot of non-fiction, spiritual reading to feel connected to the Vine. When I read for pure pleasure I love to sink into fiction. Romance, mystery, lovely literary work. If I can find all three in one book, I’m in heaven. I have two young adult novels that are unpublished, but I think one may find a home soon. One is called Malaika’s Wings, and it’s a coming of age story about a girl trying to find the mystery of her mother who, family legend has it, flew away. It interacts with the slave legend of African captives who flew away to their freedom. The other is called The Lotus Queen, and it’s about a young bulimic girl who attempts suicide and then has to rebuild her life with some very inadequate tools. Maybe both will find a home one day. I had the good fortune to land at Pocket Books, and they have a fantastic YA fiction line. I haven’t pitched either of them yet. I’ve been busy writing! I wrote three Amanda Bell Brown mysteries, Murder, Mayhem, and a Fine Man, Death, Deceit, and Some Smooth Jazz, and Saint’s Suspicions and a Ticking Clock. Each features an amateur sleuth, Dr. Amanda Bell Brown. She’s a psychologist with a talent for staying in trouble. 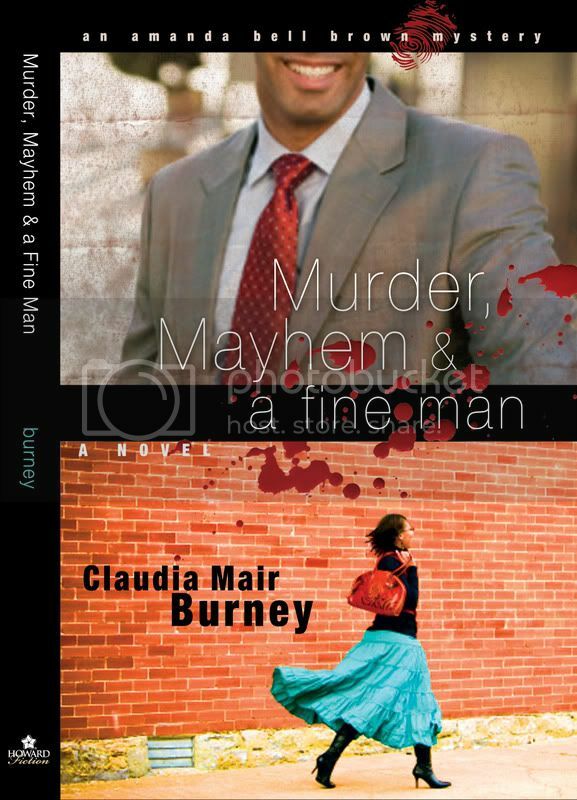 She keeps colliding into murder investigations and a very fine man, Jazz Brown, who is her love interest. He tries, unsuccessfully, to keep her out of harm's way. They’re hilarious together. And sometimes heartbreaking. I also wrote the first of a YA series called The Exorsistah. It’s about a teenager who has a gift (or curse, as she sees it) to be able to see into the spirit world. She can see demons. She finds herself homeless and reluctantly recruited to work on an exorcism team. Like most of my heroines, she’s trying to find her way in this world, and she’s got her own mysteries to solve. The book is fun, but kinda spooky, too. Demons are pretty yucky, and that is a huge understatement. Finally, this year also brings Zora and Nicky: A Novel in Black and White, which is an interracial love story. Pretty high octane stuff. And it’s about as close to literary as this ragamuffin will get. And that is followed by Wounded: A Love Story. It’s about a young, African American woman who gets stigmata, the wounds of Christ. It grapples with the issue of miracles, being perceived as a saint, and suffering for Christ. Heady stuff. I can’t believe I wrote about that, even now. Lena! You didn’t think I was sane did you? As sane as any of us authors. How do you choose your characters’ names? I just try ‘em on ‘til something feels right. Sometimes, I never do get quite the right name. I also try to use symbolism. I’m all over the place when it comes to naming. I wrote Murder, Mayhem, and a Fine Man as a tribute to my great-grandmother, who was very important in my life, spiritually. I named the series and the sleuth after her. The first version of the book had a rough go of it, but God was good to me, and it came out again, with a bigger publishing house. When the first deal went bad I thought I’d failed her. I’m really pleased that I got another chance to make her proud. Someone once told me I was a donkey because I have so many loads to bear! I so didn’t appreciate him for that. I don’t know. He may have been right! Of course, I’m enough of an animal just being the human that I am. Lord, have mercy is all I can say. Food is my favorite food. And it shows. For me there is the unrelenting feeling that I’m not good enough, and I don’t know enough, and there’s no time to learn. I finish every book with a deep, abiding sense of failure. It makes it hard to come back to the blank page, every single time. The Enemy of our Souls tells those lies to all of us. Rebuke him for it. God created you to write. throw that into the enemy's face. What advice would you give to an author just starting out? I really believe in finishing the draft. You can’t call yourself a novelist until you get to “The End.” I don’t care how awful the first draft is if you don’t get to those two magic words, you can’t even get in the game, much less find success. Finish the book. 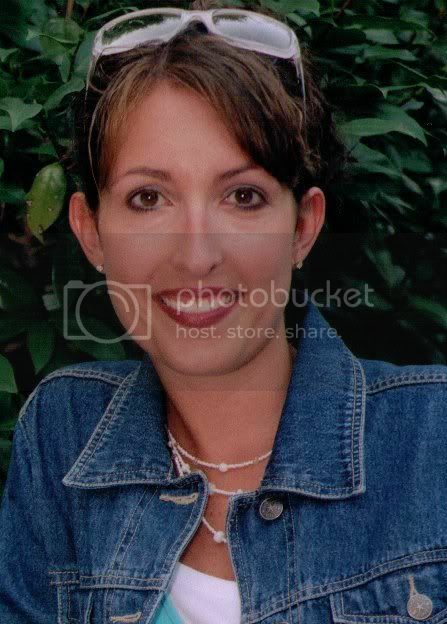 For Amanda Bell Brown, just living her life is murder! How's a woman supposed to grapple with faith, a fine man, and turning thirty-five when she keeps tripping in her high heels over mysteries -- and not just the God kind. Amanda Bell Brown knows that life as a forensic psychologist isn't quite as cool as it looks on prime-time TV. But when she turns thirty-five with no husband or baby on the horizon, she decides she's gotta get out and paint the town – in her drop-dead red birthday dress. Instead, she finds herself at the scene of a crime -- and she just may know who the killer is. She needs to spill her guts, but not on the handsome lead detective's alligator shoes -- especially if she wants him to ask her out. A complicated murder investigation unearths not just a killer but a closet full of skeletons Amanda thought were long gone. Murder, mayhem, and a fine man are wreaking havoc on her birthday, but will her sleuthing leave her alive to see past thirty-five? My blog, if you dare read it, and God knows it should come with some advisory label, is http://ragamuffindiva.blogspot.com and you can email me at claudia.mair.burney@gmail.com. A dot com is coming soon! Thanks so much for having me, Lena. You’re a doll! My pleasure and blessing, Claudia. Readers, before you check out her blog, leave a comment for a chance to win a free copy of the book. Another series of Love Inspired romances is starting, written by six different authors. We're going to feature all of them the month their book releases. Today, welcome Marta Perry. Her book Mission Motherhood is a July release. Welcome, Marta, I just love reading these series by Love Inspired. What is the name of the series this book is in, and where in the series does it occur? 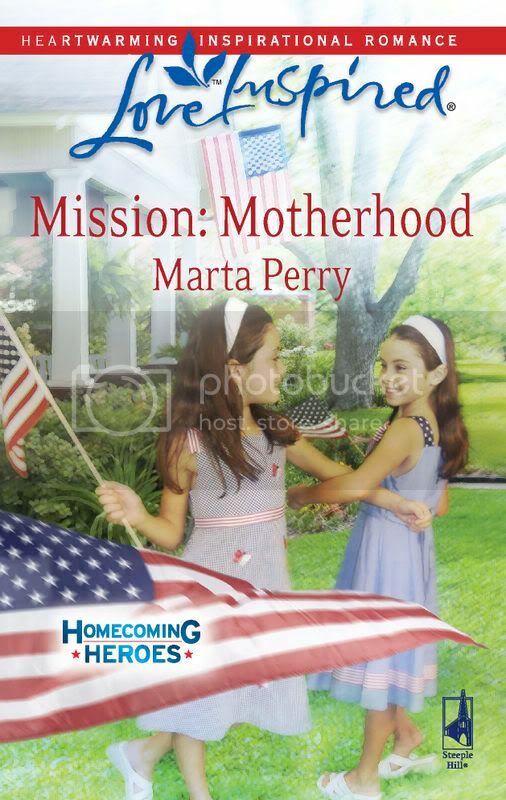 MISSION: MOTHERHOOD is the first book in the Homecoming Heroes series from Love Inspired. This is the first time I've written Book One in a continuity, so it was a different challenge, but I loved it. MISSION MOTHERHOOD will be released in July, and the other five books will follow one each month. The basic idea for the series came from the editor, but the authors worked together to flesh if out. One of the best things about doing a continuity is working with the other authors. They're a very talented bunch! Well, since I was doing the first book, I had the first deadline, so I really had to fly on it. We were very fortunate to have one writer who knew a lot about Texas and the military and another who could give us answers to all of our medical questions. People just jumped in and offered to find the answers we needed, and it really worked out well. I've written the first in a novella collection, and I prefer doing that. Did you find it hard or easy to work within the series framework? Certainly it's not easy, since everything I wrote had implications for the writers who would follow. But it's a very rewarding experience. Writing can be a lonely profession, and the experience of working together on a project is just a lot of fun! I'll agree with that. It really gives you a bond. What other books have you had published? MISSION: MOTHERHOOD is my 32nd book, so there's a long list! My most recent titles are FINAL JUSTICE, the last book in the Reunion Revelations series from LI Suspense; the three titles in my THREE SISTERS INN series: HIDE IN PLAIN SIGHT, A CHRISTMAS TO DIE FOR, and BURIED SINS; and before that the seven books in my Flanagans series. Mostly I'm either writing or spending time with my six beautiful grandkids. My husband and I are both very active in our church, and we love to travel. We'll be embarking on the trip of a lifetime this June, when we take a Northern European cruise on the Baltic Sea. That sounds like fun. I love to cruise. Where do you do most of your writing? Anywhere I am! I have an Alphasmart, which I just love, and I can even write in the car on a long trip with the radio playing. And my husband driving, of course! But I do love my office. I'm looking out the window right now to the view of our springhouse, the azaleas that are blooming on the bank, and the hedge of lilacs that are bursting into flower. I live in central Pennsylvania, in the country, in a valley between two mountains. It's beautiful here in every season, and I cherish all the things that are unique about Pennsylvania. Thanks to William Penn's ideas about religious freedom, our history is filled with people who came here for that reason, including my own Pennsylvania German ancestors. But I do have a second love--our vacation home on Hilton Head Island, South Carolina. We spend every winter there now, and we've discovered that our kids and grandkids especially love to visit us there! MISSION: MOTHERHOOD is the story of Caitlyn Villard, who finds herself the instant mother of five-year-old twins when their parents are killed in action in the Middle East. Forced to give up her high-powered job in New York and return to Prairie Springs, Texas, the small military town she'd left years ago, she discovers that becoming a mom isn't especially easy. When her part-time job involves her in the difficult task of bringing an injured child from the war zone to a Texas hospital, she has to put aside her independent ways and lean on the strength of army chaplain Steve Windham. None of it is easy, but she eventually discovers that sometimes you find the man--and the life--of your dreams where you least expected. 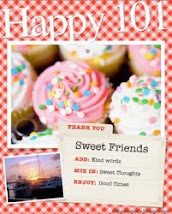 I hope your readers will visit me at www.martaperry.com. 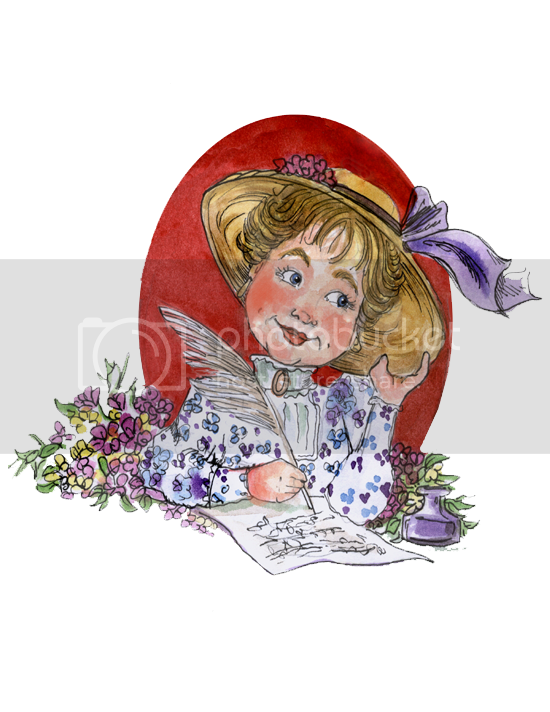 If they write to me at marta@martaperry.com I'll be sure to reply, and I'll be glad to send them a bookmark and, if they want, a copy of my booklet of Pennsylvania Dutch recipes. Readers, you'll want to check out her web site. I'm going to ask for a copy of the Pennsylvanie Dutch recipes. Before you go, leave a comment for a chance to win a free copy of Mission:Motherhood. Colleen, I'm glad to have you visit my blog. And I love your picture. I've known Colleen professionally for many years. 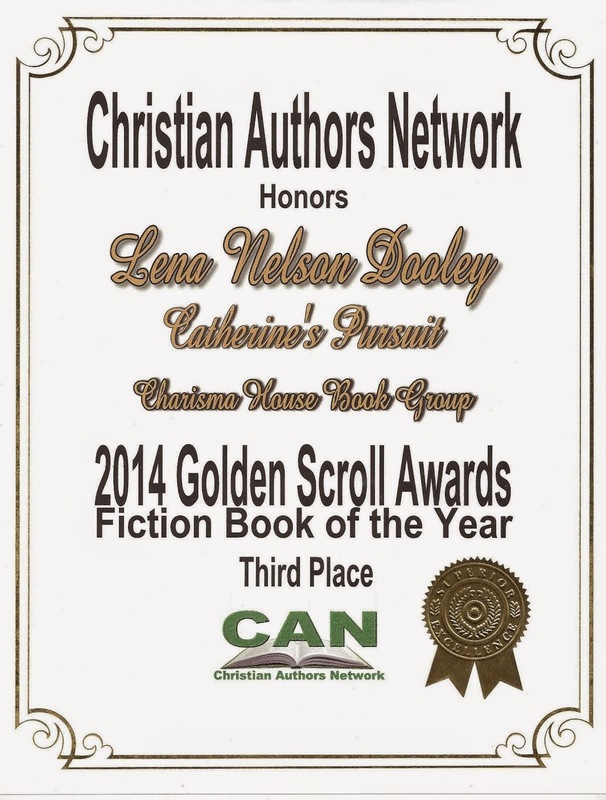 She received the first Mentor of the Year Award from American Christian Fiction Writers. I think for two or three years before I received the award. We share the same passion to help other authors. Welcome, Colleen. why do you write the kind of books you do? People ask that all the time. They say, “You’re so friendly and outgoing. Why do you write about murder and mayhem?” LOL It’s the way I’m wired. I grew up on Nancy Drew and The Hardy Boys. I think it’s my way of dealing with injustice. I can’t do anything about the bad things in the world, but I can make sure justice prevails in my imaginary world. A good reason. Besides when you came to know the Lord, what is the happiest day in your life? It just happened! On Valentine’s Day my son and daughter-in-law brought me a newspaper article they thought I might be interested in. 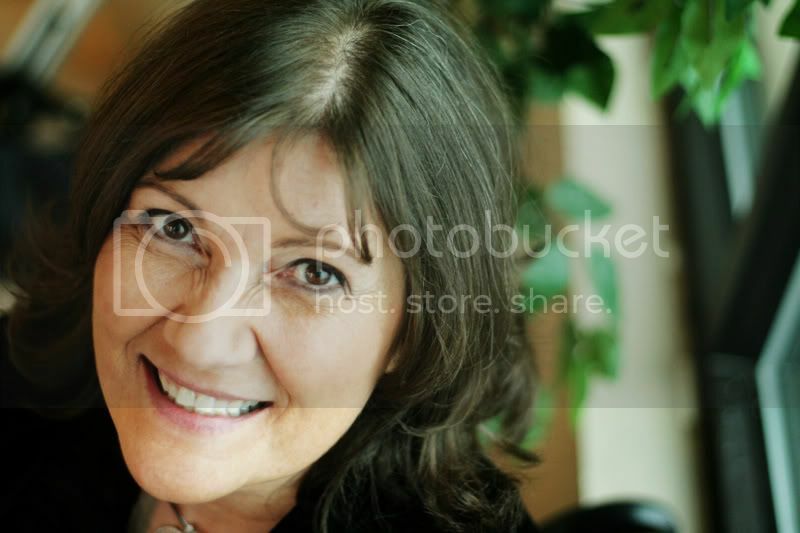 It read: Bestselling author Colleen Coble realizes lifelong dream of being a grandmother. LOL! It was their way of letting me know we have a little one on the way. We just found out our darling is going to be a GIRL! I’ve waited YEARS to be a grandma! There's nothing like it. I have loved watching my grandchildren grow and develop into the people God wants them to be. How has being published changed your life? Oh I love writing! It’s such a fulfilling career. I love all aspects of it—the writing, the promotion the editing (especially the editing!) and everything else. It’s given me more confidence and more purpose in my life. It’s brought wonderful friends into my life. Our worlds really open up when we connect with other writers. What are you reading right now? I just turned in a new Rock Harbor book called Cry in the Night. Bree’s dead husband Rob just might not be dead after all. . .
What a way to whet our appetites to read it. What would be your dream vacation? I’ve been lucky enough to actually live some dream vacations. The best ones are with the whole family together. We have gone to Hawaii several times to research the Aloha Reef books (I research while the kids play) and it has landed us a soon-to-be son! Our daughter fell for her divemaster, Captain Mark Davy. The last time we went to Kauai, love blossomed. He flew to see her in Phoenix two weeks later then moved there within a month and got a job at Honeywell. They’re getting married in November 2008. On Kauai! How fun. How do you choose your settings for each book? I pick a place that interests me and that has the atmosphere I’m looking to get in the book. The book I’m about to start is set near Charleston and it’s a psychological thriller. Where better to set it than near black water? Stephen King. No one can write character like the King. I’d love to pick his brain. It might be scary but oh so fun! Hobbies? What are those? Who has time for hobbies? LOL I used to crochet and quilt. Now whatever free time I have is spent on promotion, research, or just thinking about the next book. I do love to read though and I always make time for that! I know. I always have a book that I'm reading laying around. What is your most difficult writing obstacle, and how do you overcome it? Let me know if you did. What advice would you give to a beginning author? Read extensively in the genre you want to write. Attend at least one good conference a year. And never, never give up. Oh Anathema was so fun to write! It’s an Amish romantic suspense (different, huh!) and came about after a conversation with my agent. Karen Solem said, “What would happen if an Amish woman couldn’t forgive something horrific like the school shooting?” The story evolved from that thought so it’s all about forgiveness. The Amish sect in the book is a little different. They’re Swiss Amish (they yodel!) and it’s set in Parke County, Indiana, covered bridge capital of the world. A young Amish woman comes home from a tryst to find her family has been killed with strychnine. She escapes with her Englisch beau but it’s a very bad decision, and she flees after five years of abuse. When he tracks her down several years later, he tells her the daughter she thought had died is still alive. The only way she can find out the truth is to go home, back into the sights of the murderer who still hates her. 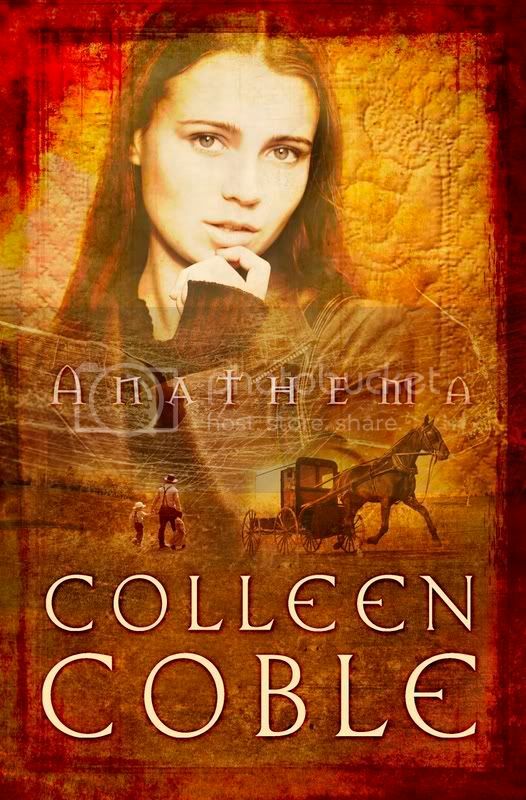 Readers, check out Colleen's web sites. Before you go, be sure to leave a comment on this post for a chance to win a free copy of Anathema. And check back to see if you won. I have a winner from several weeks back that has never checke, and the email address she left bounces. One easy way to not forget is to sign up for Feedblitz under my profile. Then the posts come into your email inbox, alerting you that you need to get your mailing address to me. Another benefit of FeedBlitz, it also alerts you to interviews where you probably will want to try to win the free book. Bigguysmama is the winner of The Adventures of Rowdy Racoon by Donna Braymer. 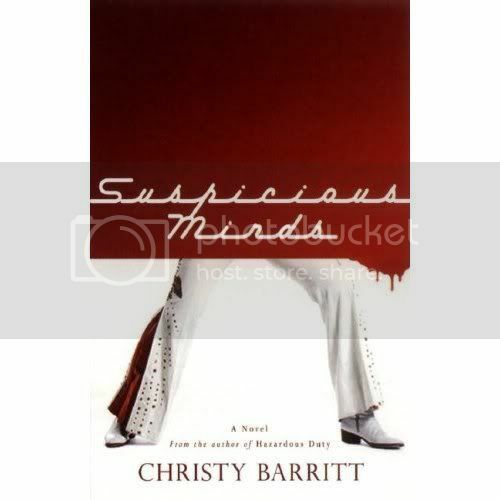 Windycindy is the winner of Suspicious Minds by Christy Barritt. 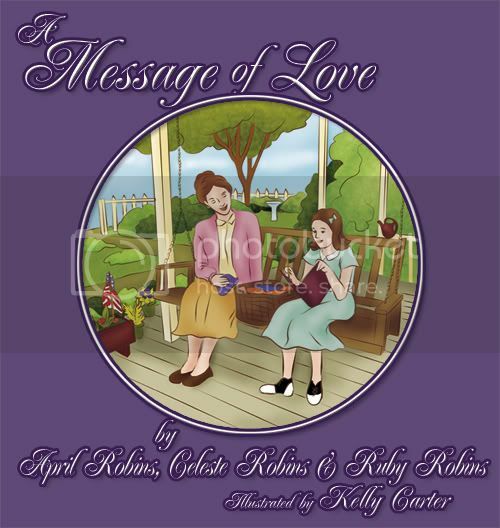 Karen in TX is the winner of A Message of Love by April Robins. Please send me your mailing address. There's a link to my email in my profile. Be sure and check out the other interviews and leave a comment for a chance to win. Another interview is coming tomorrow. We're welcoming another author of a nonfiction book today. Hi, Kevin, you are writing nonfiction. Do you also write fiction? I have written a couple of children’s stories which are fiction. I haven’t published them yet. There are loosely based on my childhood, though I used some creative license. I write as a means of self expression. Growing up I was very shy and tended to internalize many thoughts and emotions. Only later in life did I discover that writing was a therapeutic outlet for those feelings, and that books such as this one could find an audience who might benefit or be encouraged by my experiences. I grew up the middle child, 3rd in a family of five children. We’re life-long New Jersey residents. Now I am raising my own family here too. I have a wife and one son, a 3 ½ year old who is the subject of Look What the Lord has Done. I have written poetry and a truncated version of my son’s testimony from this book in a short story. The short story was titled “Where are you little ones?” which is also the title to the poem that ultimately launched this book. It is published in a compilation from Xulon Press titled Praise Reports, which can be found by googling or looking up ISBN 9781600349638. I have more children’s books in process and life with my little boy is fertile ground for more of them. As I watch him, it takes me back to my youth and some of my boyhood adventures. I also love the Psalms and would like to publish a book of psalms/poems. I don’t have a website yet but I have just started a blog on Wordpress.com. 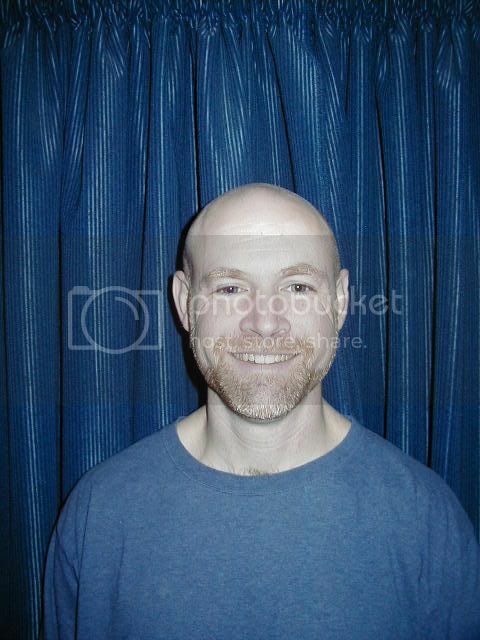 The weblog is Rysprouddad, and I started it as an outlet for others to post their testimonies as well. They can also email me at myguyry@yahoo.com. Aside from writing, I am a sports nut, playing sports, watching sports, playing fantasy sports, and now playing sports with my son. I enjoy teaching the Bible in small groups. I like to listen to contemporary Christian music as well as some classical. 2 Corinthians 1:3-4 refers to God as the “…God of all comfort who comforts us in all our affliction so that we may be able to comfort those who are in any affliction.” This book brings the reader into my prayer closet, where God brought comfort to me throughout our trial. The book started as my journal which helped me to deal with the myriad of issues talked about in the book. Though ultimately our battle was won and our faith was strengthened, we had lots of questions for God and the answer to our ‘why prayer’ was that passage. Our continuing prayer is that this book would have its desired effect; to bring comfort those in affliction. I would want them to know that having faith does not preclude you from being real with God. He can be trusted with your heart, your emotions, your dreams, and your life. Lastly, that there is a difference between having faith that God will make things go smoothly and having faith that God knows what He is doing, even when things don’t. Thank you, Kevin, for spending this time with us. Readers, leave a comment on this post for a chance to win a free copy of the book. I'm happy to welcome one of my good friends, Darlene Franklin, with her first cozy mystery. 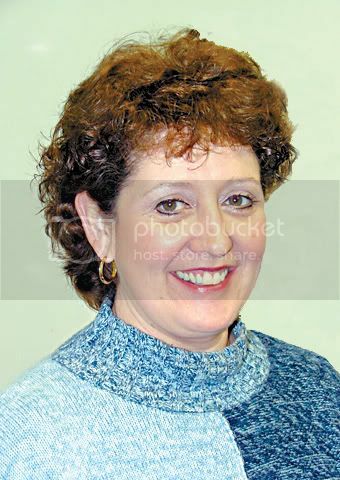 By the way, Darlene, I like your picture. Welcome, Darlene. Tell us how much of yourself you write into your characters. Cici Wilde, the heroine of Gunfight at Grace Gulch, lives in a small Oklahoma town as I did for a few years. She shares my love of the people and the culture while at the same time feeling stifled by small town life and family expectations. She inherited her self-doubts from me! What a grand question for a cozy mystery writer, since our characters are supposed to be as quirky as they come! I don’t see myself as quirky; of course not, I’m perfectly normal! Let’s see. I didn’t get my driver’s license until I was 23. That was weird, because in America a driver’s license is the closest thing we have as a rite of passage to adulthood. During those college years, and in fact until I married and drove my husband’s car, I went everywhere by bus. My parents lived in Maine and I went to graduate school in Texas . I traveled by bus from Mexico City (where I spent the summer) to Maine; from Florida to Texas; and so on. Great memories. Does it count that I saved the first story I ever wrote when I was in second grade? Like many writers, I have written all my life. A girlfriend and I swapped letters with a continuing story about Star Trek (classic Star Trek, I’m dating myself.) I even wrote society news for a small town newspaper when my son was small. I date the true beginning of my writing career from the days after my divorce. I poured out my heart on paper, and I couldn’t stop writing after that. My first published book, Romanian Rhapsody, came next. (It wasn’t published for years after I wrote it, however.) I wrote a sequel, Plain Song. Then I wrote my favorite unpublished books. The first one, Calm Before the Storm, is a romantic suspense about a male amnesia victim and the doctor who is trying to help him. After that I wrote Night Burning, a novel about two brothers who took opposite sides during the Montgomery bus boycott, and the woman they both love. When things get too busy, I freak out, I confess. Sometimes all I need to do is to have a quiet praise time, humming worship songs to myself. That often jolts me out of focusing on my problems and helps me refocus on Almighty God. If I’m feeling too overloaded, I may choose to stay home when I’m supposed to be somewhere else (church, writers group). I make sure I get 8-9 hours of sleep a night. And I keep my commitments to a minimum. Yes, people have a hard time realizing that writing is a "real job," don't they? How do you choose your characters’ names? One of the more unusual techniques I’ve tried is using the letters on license plates as my characters initials. “NC” became Nathan Currier; “FM,” Ford Murdoch. I play around with them; FO can migrate into Franz Orbach, Fernando Olivarez, Finola O’Sullivan or Felicity Owen. Are Christian writers allowed to be proud? I’d be a cat, no question. Someone who values her independence but who likes being around people (and having my every whim provided). I love Good Times frozen custard! I pity those of you who have never tasted it. Imagine ice cream, only better. I could mention time (a single mother, I have written while taking the bus, on my lunch, at soccer practice—you name it) or believing in myself. There had to come a point where I no longer said “I want to be a writer” and instead started saying “I am a writer”—whether my list of credits agreed with me or not. Isak Dinesen (Out of Africa) defines success this way: “the idea of God, successfully carried through." That’s how I want to view my writing. Gunfight at Grace Gulch is the first book in my Dressed for Death series. It has been released as part of the second cycle with the new Heartsong Presents: Mysteries! book club (see heartsongmysteries.com). Cici Wilde, vintage store owner, and Audie Howe, theater director, join forces to find a murderer when the reenactment of a famous gunfight turns deadly. Gunfight draws on Oklahoma ’s colorful heritage and the unique land runs that settled the state. Gunfight is available for sale through the book club or directly from the publisher (barbourbooks.com). 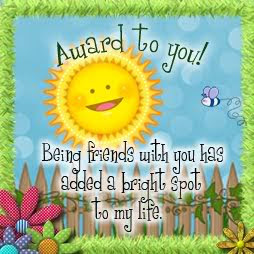 They can find me at http://www.darlenehfranklin.com/ or they can check my daily blog at http://darlenefranklinwrites.blogspot.com/. Darlene, thank you for spending time with us. 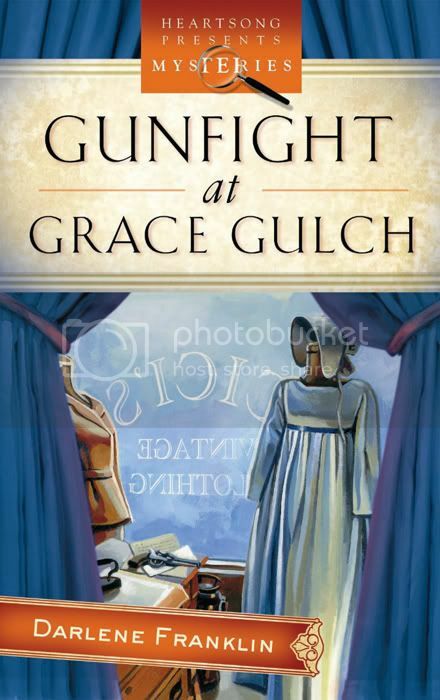 I can hardly wait to read Gunfight at Grace Gulch. 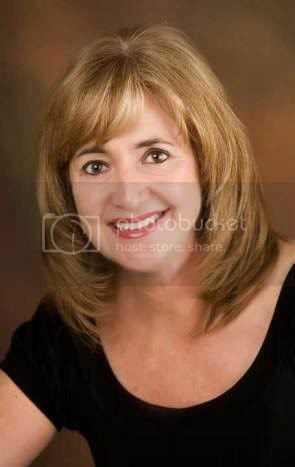 Readers, check out Darlene's websites. Also go to the Heartsong Presents Mysteries website. Don't forget to leave a comment here for a chance to win a free copy of the book. When I first heard about this book, I contacted Julie to see if I could interview her. After reading A Passion Most Pure, I can hardly wait for the sequel. Probably more than I should! :-) There’s definitely a part of my personality in each of the three sisters in the series. Faith, the sister heroine of A Passion Most Pure, is my spiritual self. Faith has an intimate relationship with God—she talks and prays to Him as naturally as if He is her best friend, but she gets angry with Him too. You might say she (and I) are emotionally engaged with the God of the Universe—we laugh with Him, tear up at His goodness to us, and worship Him with all of our hearts. Charity, the sister heroine of Book 2, is my rebellious and “passionate” self, before I came to the Lord. I was a wild child of the seventies, you know, like so many of us. Thank heavens that Jesus got a hold of me (as he does Charity in Book 2)! Lizzie (or Beth), the sister heroine of Book 3 is my dreamer self. Lizzie is a bookworm bent on fairytale romance, just like I used to be as a little girl, sneaking downstairs to watch romantic movies after my parents went to bed. In her story, Lizzie has to learn (just like I did) that true romance, the kind that really satisfies, comes from following God’s precepts, not the world’s. You need the sun, and the sun causes skin cancers on my husband. We are all so different. When did you first discover that you were a writer? Oh, from the moment I read Gone With the Wind! That amazing book inspired me to begin my own novel at the age of 12, a 150-page, single-spaced manuscript that is actually the basis for my debut novel, A Passion Most Pure. In fact, I was so hooked on romance after reading GWTW, that when I was in high school, I actually dressed up as a nun to go to a free showing of GWTW for the local religious and clergy. One of my friends had a sister in the convent, so she loaned us novice habits and off we went! I sat there mesmerized, shoving free popcorn into my mouth as I watched the tug-o-war between Rhett and Scarlett. It was one of the most fun times of my teens … until we ran into the nuns from our high school! Whew, we got into trouble … but it was soooo worth it (at least at the time!). Oh, I’m pretty set in my ways, meaning I read mostly romance, although a good mystery can lure me away now and then. I’m more of a “Calgon, take me away” type of writer/reader rather than “slice of life,” so I read more romance than women’s fiction. But there are a number of women’s fiction writers I do love (i.e. Francine Rivers, Deb Raney, to mention a few) and one of my all-time favorite books is To Kill a Mockingbird (not a shred of romance in there!). But most of my reading is Inspirational romance/fiction. Oh, and a rare nonfiction book here and there, although I have to admit, I usually have trouble getting all the way through. Sigh. Only the three in The Daughters of Boston series: Book 1—A Passion Most Pure, Book 2—A Passion Redeemed, and Book 3—working title A Passion Denied. I RUN … not walk … to the throne of God! He is my high tower, my place of refuge in ANY storm, be it professional or personal. For me, He has never been a last resort, but the FIRST thing I do when life’s hurried pace overwhelms me. A good example is a story on my Web site about when a doctor told us he thought our college-age son had cancer. Now I am a wired individual under the best of circumstances, so this had the potential to fell me like a tree. But I sprinted to God faster than Jackie Joyner Kersee going for the gold, and the prize was God’s peace. You can read the steps I took in maintaining my sanity at http://julielessman.com/from-the-heart/. Both of her parents’ names, Marcy and Patrick, were also from that early manuscript, but I renamed Faith’s rival sister, Charity, and the bad-boy hero, Collin, because there names were … are you ready?? Del, short for “Delatha,” and “Bart.” Don’t even ask me what I was thinking at the age of 12 except that I do remember liking the TV show Maverick, which featured a handsome character named Bart Maverick. I chose Charity’s name because Faith had a twin named “Hope” who died at the age of 9, and I was going for “Faith, Hope and Charity.” And Collin’s name, pure and simple, came from a listing of Irish male names. Professionally, that would be the third book in the Daughters of Boston series, (working title A Passion Denied). It was difficult to write for a number of reasons. First of all, I hit the wall on this book because I was reading another author whose incredible talent made me feel like I wanted to puke on my keyboard whenever I read my own writing. :-) And secondly, because I was attempting not only to tell a very complicated and dark love story about the third daughter, but also weaving in second-tier stories about the parents and each of the other daughters. Whenever I read a first book in a series, I generally fall in love with the hero and heroine and don’t want to say goodbye to them. So in my Daughters of Boston series, each book continues to grow and becomes more complicated and layered. As a result, I worried that book 3 would end up seeming like a bunch of disjointed stories, but everyone who has read it so far (quick prayer here!) says it’s seamless and the best of the three books. So I’m very proud of that accomplishment. Hands-down, turkey and dressing! Second favorite food: Spanish rice. For me, it was definitely a “Nike” thing—just do it! It took me almost forty years to sit down and finish what I started after Gone With the Wind impacted me at the age of 12. But it finally happened when God inspired me in a beauty shop. I was waiting for a haircut while reading a Newsweek 2001 cover article about Christian books, movies and music. It said they were on the threshold of exploding, and my heart jumped. Something in my spirit said, “It’s time to write your book,” and the pull was SO strong, that I started writing A Passion Most Pure one month later. From the moment that I wrote the first line, all roadblocks were gone, and I was off and running into the world of the O’Connors! That this story is basically a love letter from me to my God, who took me from the darkness into His incredible light. Jesus Christ transformed a hard, cynical agnostic (like Charity, the rival sister in A Passion Most Pure) into a person of joy and hope and love (like Faith, the heroine). This is a story I will never tire of telling, and hope to continue to do so in all the books I am privileged to write. Thanks for asking, Lena! 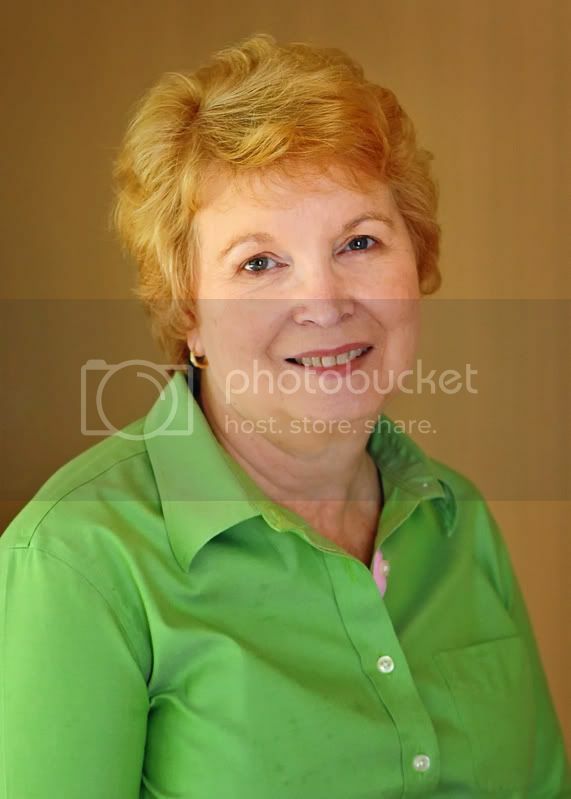 Visitors can find me at http://www.julielessman.com/ or at The Seekers group blog at http://seekerville.blogspot.com/. In the next few months, I plan to have a newsletter that will be e-mailed to anyone who signs up on my Web site. It will keep readers updated on the progress of my books and their release dates, plus all the fun things that go on such as title selection, promotion and cover design. YOWZA, wait till you get a glimpse of the male cover model for Book 2—guaranteed to make this book sprout wings and fly off the shelves! :-). Thanks so much, Lena, for hosting me on your Web site. I had fun, and I hope your readers do too! Thank you, Julie for spending this time with us. I can hardly wait for the next book to release. Readers, you won't want to miss this one. Leave a comment for a chance to win a copy, but if you don't win, get your hands on one as quickly as you can. 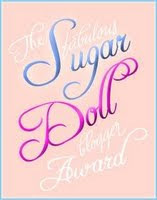 The book is a really good read with lots of layers and lots of depth as well as lots of romance. Jo is the winner of Final Justice by Marta Perry. 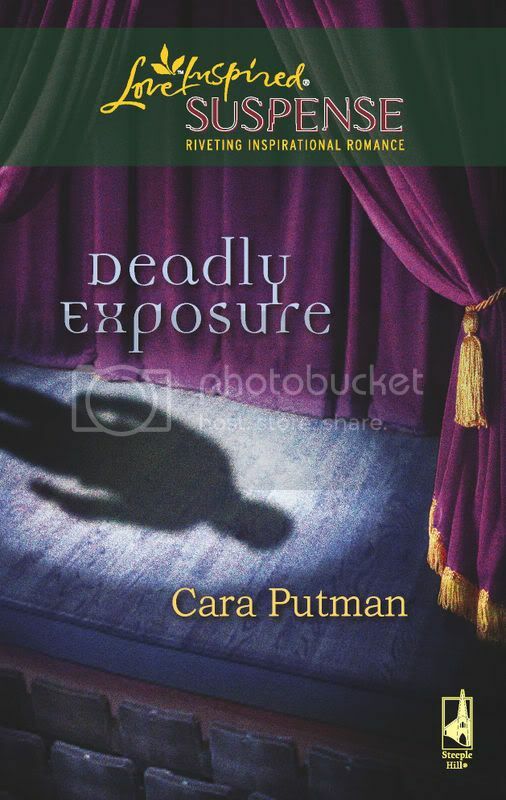 Dawn wins Deadly Exposure by Cara Putman. Eileen will get a copy of Summer Snow by Nicole Baart. Please email me your mailing address. There's a link to my email in my profile. I'll post a new interview tomorrow. There'll be three more winners next Saturday. Don't be left out. Another children's book for summer reading. We're talking to April Robins, one of the co-authors. Don't you just love this picture someone drew of her? Welcome, April. What has drawn you to writing for children? I decided that I wanted to do something useful once again after retiring and thought of writing. I considered writing a novel for years. I had a number of children’s book ideas in my head so I went that direction instead. I wanted to write with my family and they only wanted to be involved in children’s books. I may work on the novel again in a year or two. Oh I have done a lot of them. One that comes to mind today concerns a flood. 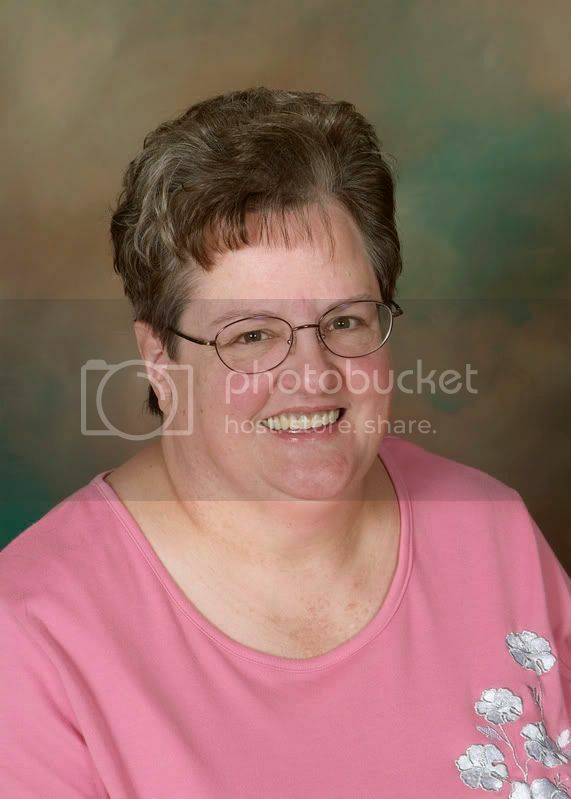 I was a software consultant for the State of Missouri. I wanted to get home for the weekend. The only way to get to the airport was to cross a long bridge over the river that had flooded. There were sandbags holding the water off the bridge. I wore a lifejacket in the car as I crossed the bridge. Sounds scary. When did you first discover that you were a writer or illustrator? In the fifth grade but I ignored the urge since I could only come up with one book idea. My teacher had asked us to write a short fictional story. I wrote about a cat and everyone loved it. So I thought in my mind that I had found my calling. I have only had time recently to read children’s books, but I enjoy mysteries and romance. There are a lot of mystery and romance books being published in the Christian market today. What other books have you written, whether published or not? I have eight published books which include “A Message of Love,” “Lovely Little Lamb,” “Keeper of Happy Faces,” “Where is My Bennie?” (English & Spanish versions), “Zachary Goes Treasure Hunting,” “I’ll Tuck You in, Deer,” and “The Beautiful Princess Without a Face.” Two books are in production; and over fifty stories are at some stage of development, most of which will never see print. Recently I haven’t done such a good job of that. I love writing the stories. Just give me a topic, and I will give you a book. However, I never realized the extent of work required to get my books into the hands of readers. I spend all my day at the computer getting the name “April Robins” visible. At Robin Falls, I am the author and my family plans the role of writer. I always come up with the story, and they re-write it. You have to not have ownership of your work if you want to write as a team. We take turns editing the manuscript until everyone is satisfied. First I would have to say my software consultant career. Then I love the idea of leaving our wonderful little stories behind for my family to pass on. A Cat. They get to lie around and sleep all day then prowl all night. Very difficult, if not impossible. Of the thousands of submissions to a publisher in a year only around 100 become books. If you are over forty, I would get my work reviewed by other writers; get it edited by a professional; find a good artist on guru.com; and submit it to AuthorHouse or BookSurge. If you are under forty, I would submit my manuscript to traditional publishers. They say it takes 3 to 10 years for a book to be published traditionally. A Message of Love takes readers on a journey back in time with Linda, all the way to 1959. Linda, then 8 years old, cherishes the time she spends with her grandmother as the two of them work on a memory quilt. As Granny pulls scraps of material from a box, Linda fills a notebook with a sample of each piece. While Linda takes careful notes in the special notebook, Granny tells a family story related to the scrap. From pieces of her father’s WWII fatigues, to Granny’s Pink Lady apron, to the angel costume that she wore in a school play, each scrap – and story – fascinates Linda and passes on the things Granny values most in life: God, family and country. For Linda, memories of a slower and gentler time come flooding back. She recalls singing songs and reciting nursery rhymes with Granny as they washed the selected material on scrub boards in the backyard, and the excitement of the quilting bee when the notebook was finally completed. It was a time when the small things in life were the most important; when people looked forward to their Saturday shopping and attending church on Sunday. Linda’s mind suddenly returns to the present when she remembers the stories that her grandmother told her about the quilt containing a message. Will Linda find a note? Or were her grandmother’s words just symbolic for the fact that the quilt had its own story to tell? The answer will cause Linda to follow in Granny’s footsteps with her own grandchild, and capture the hearts of readers young and old. Most families own a quilt. Many of those quilts are family heirlooms with special meanings. This story is about a quieter time in life during the 1950’s. Family values and life before high tech is displayed through beautiful illustrations. The subtle story with a sentimental ending will be a great bedtime story for parents or grandparents to read to children. Simple words and colorful pictures hold a child’s attention and make it ideal for an early reader. This children's picture book is for parents and grandparents with small children ages 2-8 and early readers age 5-10. Go to my website at http://www.robinfalls.com/. From there you can go the “Contact Us” page and see all the forums I belong to or go to the “Writers’ Corner” and see all the Yahoo Groups I am a member of. My latest adventure is with FaceBook, which is a lot of fun. If you join, ask me to be your friend. I love having friends. Thank you, April, for spending this time with us. Readers, it sounds as if her web site contains a wealth of inf0rmation for you. Leave a comment here for a chance to win a copy of A Message of Love. It's summer and time to read a funny, romantic comedy mystery. Here's a new one from Christy Barritt. Welcome, Christy. Why do you write the kind of books you do? I want to write the types of books that I enjoy reading. I love, love, love suspense and mystery novels. But I also think every good book has some romance. Most people describe my stories as humorous and I think that element grew naturally out of my characters. There’s also an element of faith—I try to be as authentic as possible when dealing with people’s Christian walk. Sometimes that might mean presenting Christians in less-than-flattering ways. Above all, I’m called to be honest. I hope that through my writing people will examine themselves. I never want to give pat answers. I agree. Besides when you came to know the Lord, what is the happiest day in your life? I’d honestly have to say June 12, 2006. That’s the day my son was born. I was so nervous about becoming a mom, fearful that I had no idea what I was doing. But as soon as I held my son in my arms, it was just love at first sight, like nothing I’ve ever experienced before. Almost two years later, I can still say that no one makes me happier than my little boy. I’m a lot busier. I used to simply write when I could (which was often because I made it a priority). Now I have to make the time to write, even when my schedule is already packed or I don’t feel like it. But I love being published. I love that someone saw potential in my work. And I love getting letters from readers who connect with my books. It’s an answered prayer and I wouldn’t change anything..
I’m reading some of the new Heartsong Presents Mysteries. They’re really good! Yes, they are. I've read several of them. What is your current work in progress? I’m working on several things, including the untitled third book in the Squeaky Clean Series. My agent is currently pitching another light-hearted mystery series of mine called The Suburban Sleuth Mysteries. I’ve always wanted to go to Venice. One day! I used to choose locations that I wished to visit. But now I find it much easier to choose locations that I’m familiar with. They may be boring to me, but others find them interesting. That’s the reason why I choose Norfolk, Virginia, for the setting of the Squeaky Clean Mystery series. It’s not a city that’s featured often in books, which makes it unique. Plus, there’s a strong military presence, and a merging of southern culture with a mid-Atlantic vibe. President Bush. As a reporter, I get to interview a lot of politicians and I usually get a gut feeling about them. I’d like to talk to the President, not for political reasons, but just to read him as a person. I sing and play the guitar. I’m the worship leader at my church and I love that. I also love traveling, even if it’s just to a small town an hour away. Different locations always spark story ideas! Lately, my obstacle has been time. With a toddler around, my time is not my own! I figured out that no one will give me the time to write—I have to make time for what’s important to me. No one will do that for me. I block out times on my schedule each week, check with my husband to make sure it’s okay, and then let nothing thwart me from my writing time. It’s the only way I can get anything written. Keep at it. Publishing isn’t easy. Write what you believe in and let the rest of the details work themselves out. If you ever start writing simply for the market or just to get published, your joy will dissipate. Write the story of your heart. Now, Christy, tell us about the featured book. In Suspicious Minds, crime-scene cleaner Gabby St. Claire takes on a mold remediation job at a dilapidated old house. To her surprise, she finds the dead "King" in a crawlspace---still wearing his blue suede shoes. There's no way she can keep her nose out of a case like this! I had a great time writing Suspicious Minds. Though the book, in general, is pretty quirky and lighthearted, it also touches on some serious issues like loneliness and abandonment. And, of course, there’s a good touch of romance to keep things rolling! 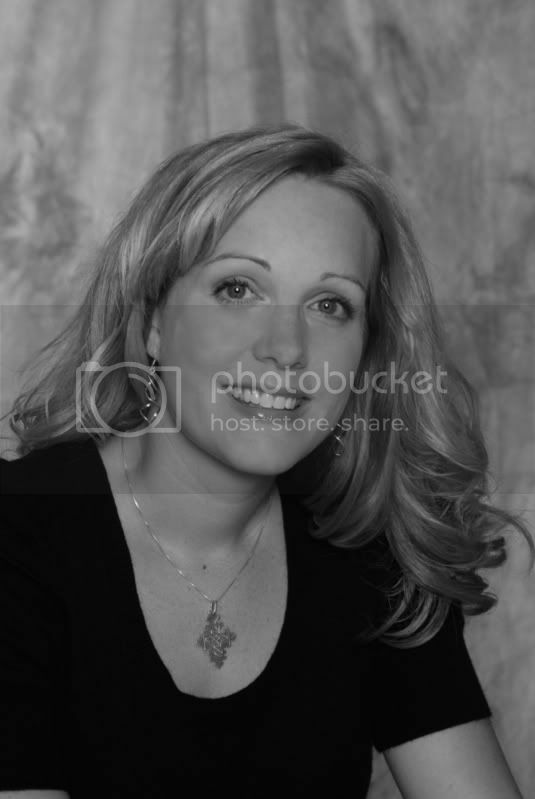 Please visit my website at www.christybarritt.com. I’m in the process of updating it and I’m really excited about some of the changes. I also blog twice a month at www.faithchick.com. Christy, thank you for taking time to visit with us. Readers, check out her web sites, but before you go, leave a comment on this post for a chance to win a copy of Suspicious Minds. Now that school's out, parents will want their kids to read a lot. Here's a fun book for summer. Welcome, Donna. What has drawn you to writing for children? I want children to be able to read good books for fun, and books that will teach them something positive in the process. Rowdy Raccoon is such a fun character, yet children learn things from his mistakes. Driving up to Pikes Peak by myself was probably not very smart. I’ve also gotten to some unique places and called my family. For example, the Empire State Building in New York City. While in NYC, I walked to the base of the Statue of Liberty and placed my hand there and thanked God for the opportunity to be there and see that wonderful sight in person. One time I wanted our family to go on a picnic. My husband and sons were not impressed with the idea…but I packed the lunch and they had to come if they wanted to eat. Well, we drove and drove and ended up sitting in our mini van and having a picnic at a construction site where a tall bridge was building built. The construction crew wasn’t working on the weekend, so it was safe as long as we stayed in the van. Now that the bridge is complete, we love to drive across it, and remember our picnic. Sounds like fun. When did you first discover that you were a writer or illustrator? I’m definitely not an illustrator. But I do love to write. As an adult I took a writing class at our Junior College. The professor told me I should continue to write. When I sold some magazine articles, I was very excited. I also work for our newspaper and to write on deadline is fun and great practice. Deadlines keep me going. I love them, too. Tell us the range of the kinds of books you enjoy reading. My favorite book as a child was The Secret Garden. I love the idea of a quiet, secret place to run to, for the enjoyment of reading or writing. Plus Nancy Drew books!!! I love to read good mysteries like Terry Blackstock and Mary Higgins Clark. I think I learned more from Gilbert Morris’s historical fiction than I did in history classes! 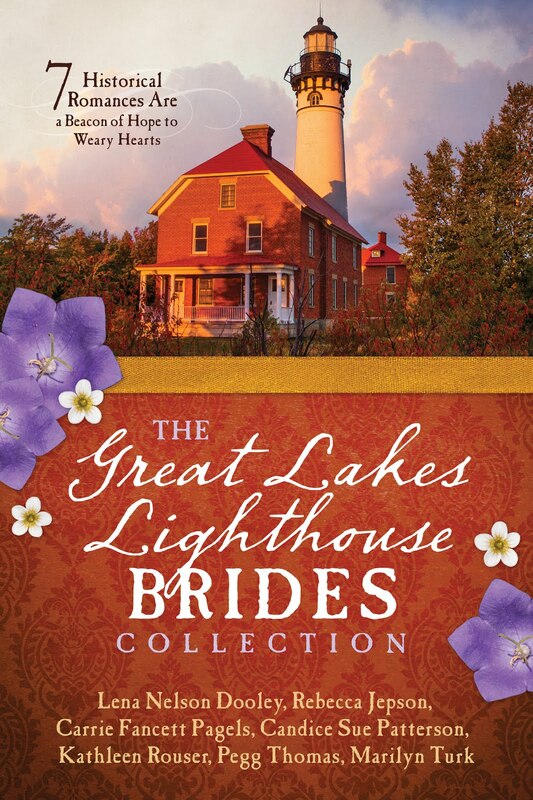 I also love Janet Oke and tons of authors from Steeple Hills press and HeartSong Presents. Then you've probably read some of my books. What other books have you written, whether published or not? I self-published two, The Adventures of Rascal Raccoon and The Raccoon Gang many years ago. I’ve also had some short stories published in other books. It’s just like working at the newspaper. I may have written a wonderful article, and taken a great picture. But if the advertising people didn’t sell the space, the press people print it, and the carriers deliver it…no one would read my article. It takes all of us to make a successful paper. In the publishing world, it takes an editor with faith in you, and a team of their own to make a successful product. If the team is successful, so are the individuals. I am very proud of this book. God gave me the idea many years ago. When I would get discouraged and think it wasn’t going anywhere, God would send me a reminder that He was still in control and to trust Him. Yes, God's timing isn't often our timing, but it's always right. If you were an animal, which one would you be, and why? I probably have so much fun writing about Rowdy Raccoon, because I am a mischievous person at heart. I love to have fun, and sure don’t act my age at times. I can be in an adult situation, and the thoughts will run through my head…if Rowdy were here, he would do…… and then I have to grin to myself. Yup…That’s exactly what Rowdy would do…and get into trouble. I love Mexican food…Cheese enchiladas, salsa and chips to be exact!!! I'm getting hungry. Is it hard to break into the children’s market? Keep writing and getting better and better at what you love to do. Also keep reading. The Adventures of Rowdy Raccoon features a group of animals that live in the Harrison Hollow State Park. Rowdy is the main character, and Savannah Squirrel is his best friend. Savannah tries to keep him out of trouble, but somehow Rowdy still finds trouble to get into, and character-building lessons to learn. Rowdy has to learn things like respect, honesty, learning to work, learning to laugh at yourself, giving etc. All are character traits we want to pass on to our children. Sometimes adults, parents and grandparents get so busy…we have to make sure we stop and teach character on purpose. The newspaper has partnered with Rowdy and we go into classrooms and service clubs all the time. I have a stuffed raccoon I take and for young children, I read the story and share the pictures with them. For older students, I have props that go with the characters and as I read/tell the story they act it out. The kids love to be actors and learn some character-building traits while have a great time. I’ve even had adults act out the story and that is funny all by itself. So the newspaper promotes literacy and building character in young readers. I put a page together each week that is just for kids, plus my other assignments. The Newspapers in Education program takes newspapers into classrooms for free one time a week. So I write a column about character, and feature lots of interesting activities for teachers and students to use the newspaper for fun and learning! Rowdy’s web page is www.RowdyRaccoon.com. It is kid friendly and has puzzles children can do with Rowdy. Plus there is a section of discussion questions for parents or grandparents. After they have read the book, they can talk about the choices Rowdy made, whether they were good or bad. What could he have done different? And what lessons did Rowdy learn? Rowdy loves to interact with children and will write them back, if they email him. The book has a beautiful, colorful cover and pages children can color on the inside. There is also a full-length CD with a wonderful young lady narrating the story and a Rowdy theme song. So if children are not able to read yet, they can listen to the story and look at the pictures as they go. 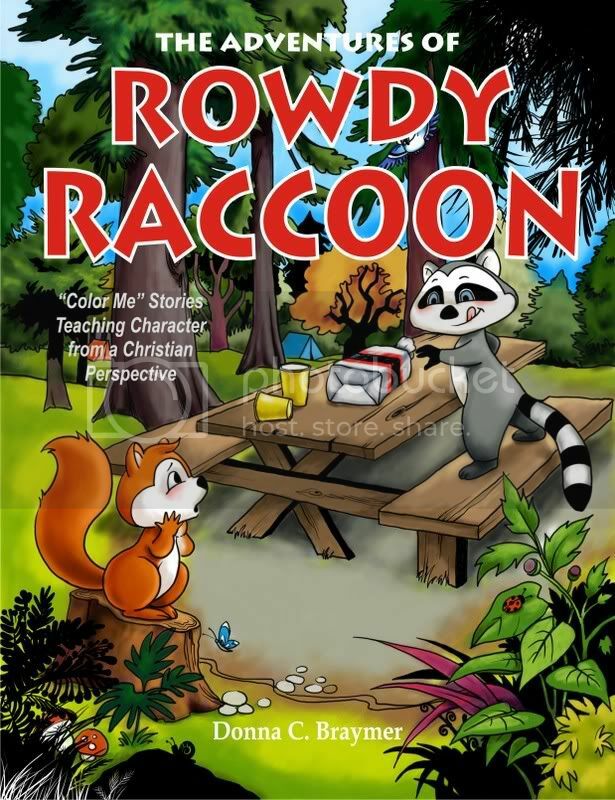 The Adventures of Rowdy Raccoon is available at your favorite book stores or you can order from me by e-mailing DCBraymer@aol.com or calling toll free-1-888-55-Rowdy. Thank you, Donna, for spending this time with us. Pamela J is the winner of A Bride So Fair by Carol Cox. Kay C is the winner of He Loves Me, He Loves Me NOT by Trish Ryan. Ivan Girl is the winner of Bayou Paradox by Robin Caroll. Please send me your mailing addresses. There's a link to my email in my profile. Want to be a winner next time. Check out the three interviews where the winners haven't been chosen, and look for more interviews starting tomorrow. We're talking to Nicole Baart today. Welcome, Nicole. It definitely changes with every book. When I was writing After the Leaves Fall and Summer Snow, books that are set in Northwest Iowa where I was born and raised, it was difficult at times to separate myself from my main character, Julia. The books are in no way autobiographical, but many of the characters in Julia’s life are drawn from my own experiences with people. And so is the setting, of course. But the book I am currently working on (as well as others I have started in the past) contains characters that are the polar-opposite of me. It’s fun to experiment with character and try to write about people who are very different from me. What fun!!! When did you first discover that you were a writer? I knew I was a writer in early elementary school. From a very young age I knew I wanted to be an author when I grew up. My very supportive parents never flinched when I mentioned that childhood dream. In fact, both my mom and my dad would sometimes introduce me as their daughter, “the future author.” Of course, I never really believed that my dream would come true. I think sometimes I’m still coming to terms with it! I don’t typically read escapist books and I’m not a huge fan of biographies. Other than that, I love to read and will pick up almost anything. Since my husband is a pastor, I end up reading a lot of his cast-offs. Robb Bell, Donald Miller, C.S. Lewis, Philip Yancey, and Brennan Manning are a few favorites. I also read a ton of fiction--mostly award winners or anything that my friends recommend. I love Gilead by Marilynn Robinson, Peace Like a River by Leif Enger, A Passage to India by E.M. Forester, and nearly anything by Jane Austen and Charles Dickens. I’m a huge poetry fan, too, though I am a bit picky and tend to favor the classic poets. 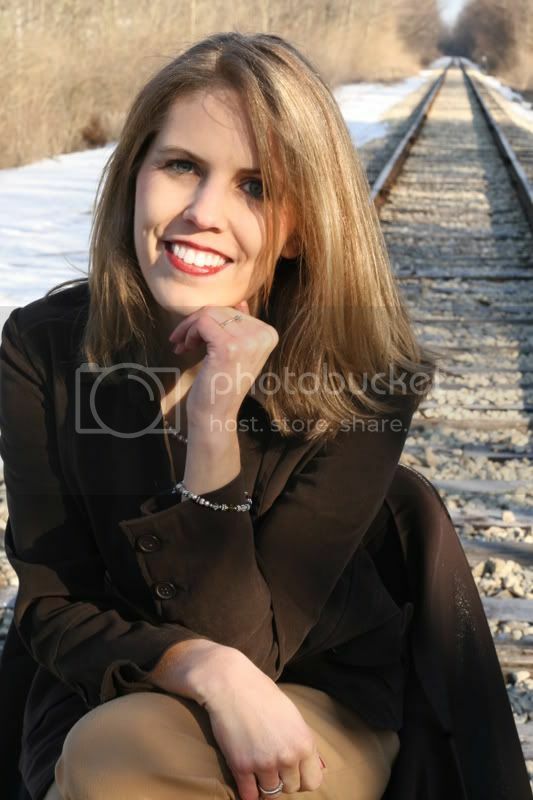 I’m just starting off in my writing career and my published books include After the Leaves Fall and Summer Snow. I also have a contract for two more books with Tyndale. I’m currently working on book number three, a suspense-filled contemporary piece with a literary, introspective slant. If that sounds off-putting, don’t be deterred! The book is similar stylistically to a Jodi Piccoult or Alice Sebold book. It’s written from three different perspectives over the span of thirty years. I’m loving it because it’s filled with surprises and complex motivations--it’s both challenging and exciting to write. In addition to the books I’ve mentioned, I’ve started a number of other manuscripts that were abandoned before I could place the final period. These unfinished works include a mystery, a historical, and a fantasy novel. I guess my writing is a little eclectic. And I suppose I could do a book of short stories and one of poetry if I were to collect my other works. I live in a small town! Believe it or not, that helps. Also, I try very hard to keep my priorities straight. Someone asked me recently if being published has changed my life. I had to think about that pretty hard. The answer was, finally, no. My life hasn’t changed much at all. I’m still just a mom and a wife, a friend, Bible study leader, a gardener, a cook, and a wannabe interior decorator. Oh, and I get paid to do something I have always, and will always love to do: write. It’s awesome! I think it also helps me to keep everything in its place. When I’m with my kids, I’m with my kids. When I’m writing, I’m writing. When I’m at Bible study, I don’t think about anything else. Maybe it seems counterintuitive to compartmentalize my life, but it helps me immensely to be able to cope with everything. That’s an interesting question. I have to admit that I don’t really have a formula for it--for me it’s kind of like picking a name for a child or a pet. The name just fits the person and I can’t imagine it any other way. I’ve never fussed about my names and to me they fit my characters perfectly. I have two: giving birth to my son Isaac, and traveling to Ethiopia to bring home my other son, Judah. Both experiences were excruciatingly hard and exhausting, but so very worth it in the end. Oh man, I have to be an animal? I never know how to answer those questions… I’m sure the answer will be different tomorrow, but today I suppose I’d be a squirrel. Not because I particularly like squirrels or because I think I’m squirrelly (he-he-he), but because my neighborhood is full of them and I feel like I have come to know them well. From what I can see, they seem to have boundless energy and lots of fun. Plus, they’re in great shape, have tons of friends, and can make themselves comfortable anywhere. I like their ability to adapt. Although I’d like to avoid the road kill demise that many squirrels inevitably meet. I love to eat, period. There aren’t many foods that I don’t like, and I am willing to try anything once. Or twice. Maybe even three times if I’m feeling adventurous. I absolutely love gourmet food and ethnic cuisine, especially when it looks as good as it tastes. And I’ll never turn down seafood or fish of any kind. My favorite meal at one of my favorite restaurants consists of baked shrimp with goat cheese, spinach salad, surf and turf (a nice sirloin steak, medium, and a lobster tail), grilled asparagus, and something chocolate for dessert--all shared with my husband. Makes me hungry just thinking about it! My husband and I often share one meal at a restaurant. I eat a lot less than he does, so it works out just right. What is the problem with writing that was your greatest roadblock, and how did you overcome it? It sounds kind of cheesy, but my biggest roadblock was (and still is) believing in myself. Although I always wanted to be a writer, I very much doubted if I could ever do it. Before I wrote After the Leaves Fall, I had never completed a novel before. I had started many novels, but I never had the oomph to finish the manuscripts. Either I lost faith in myself or I started having serious doubts about the story and I just gave up. It wasn’t until I had a concrete deadline and a “do or die” mentality that I finally pushed myself to stick with it until the bitter end. I was thrilled to find that I could do it. Experiment. Don’t take the all the advice you read to be the absolute gospel truth. Find what works for you and, if it is successful, stick with it--even if it seems ridiculous and even if it flies in the face of what some people suggest you do or don’t do. I think everyone has to have their own writing style and their own techniques. If you start to follow a formula, I believe your writing will eventually begin to feel formulaic. There has to be a certain personal flair to what you do and you are the only person who can add that individual, special dimension to your work. In After the Leaves Fall, we were introduced to Julia DeSmit--a girl with big dreams to break out of her conservative small town life. 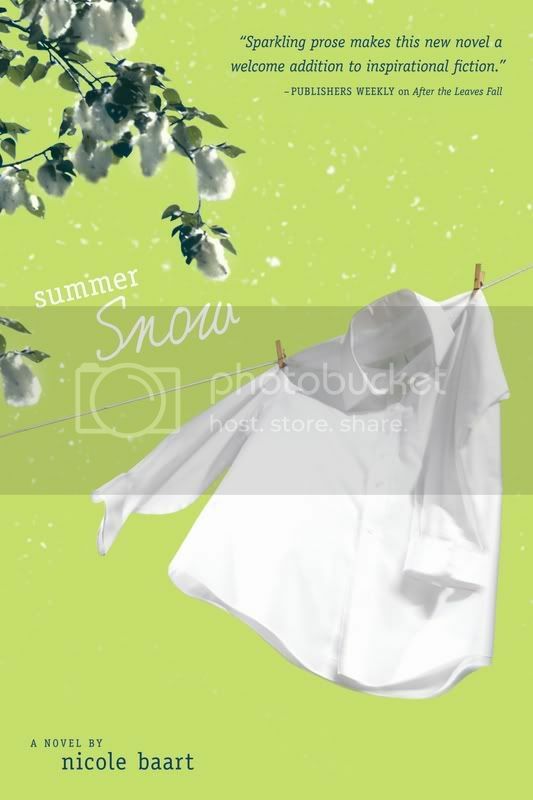 In Summer Snow, we meet a more mature Julia--optimistic and anxious to begin again after dropping out of college. But the careful life Julia has begun to build falls hopelessly to pieces when her estranged mother, Janice, appears on the front porch one icy March night. Mother and daughter have not seen or talked in ten years, and a decade of anger, resentment, and bitterness follows in Janice’s wake, along with a surprise that Julia could have never anticipated. Julia is convinced that which is broken cannot be mended, but hope blooms in unexpected places. Can Julia find the grace sufficient to live beneath the promises she is slowly beginning to believe? I’d also like readers to know that 15% of the proceeds from After the Leaves Fall and Summer Snow are being donated to Christ is Our Hope orphanage in Monrovia, Liberia. Thank you, Nicole, for giving us this fun interview. 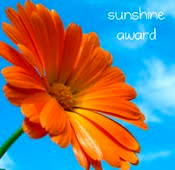 Readers, check out her web site, but before you go, take a moment to leave a comment for a chance to win a copy of Summer Snow. Welcome, Cara. Why do you write the kind of books you do? It’s part of who I am. I have always loved reading mysteries from my days as a preteen reading Nancy Drew, the Happy Hollisters, and Trixie Beldon. Over time I graduated to Mary Higgins Clark and John Grisham and really wanted to write suspense like that. 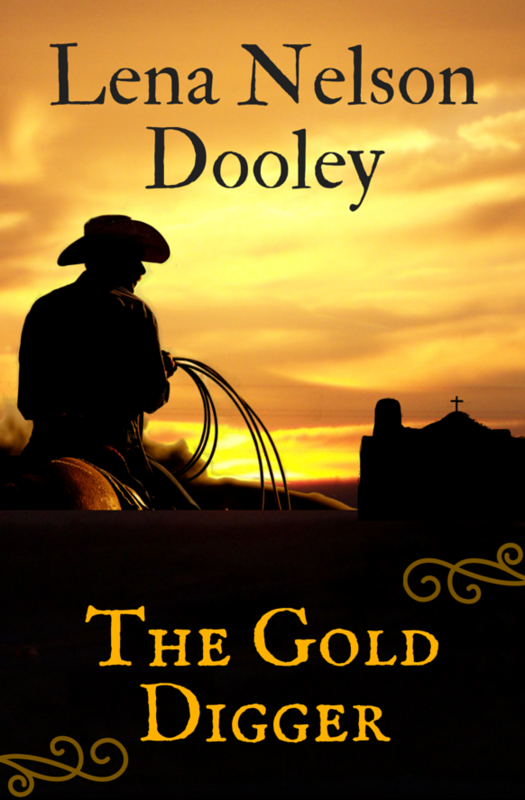 Filled with twists and turns and the race to beat the author to the conclusion. But at that time Christian fiction consisted of prairie romances and Bodie Thoene’s books. I inhaled those, but couldn’t see myself writing those. Fast forward ten years and Christian fiction is so amazingly diverse. 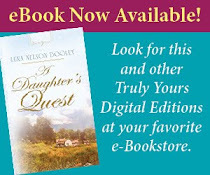 I discovered Brandilyn Collins, Mindy Starns Clark, and Colleen Coble, and thought there just might be room for me in Christian fiction after all. And I knew I wasn’t interested in writing for anyone else. Writing the historicals married my passion for World War Two and my love for discovering untold stories. There also isn’t a glut of those stories, so the timing was perfect. Hmmm. That would have to be my wedding… God has blessed me with a man who puts up with my intensity and supports my dreams. Then the birth of my kids and last, receiving that first contract at the 2006 ACFW conference. Yes, I was there and remember the excitement. How has being published changed your life? I don’t know that it has. I still have to write at all hours of the night. Steal moments from sleep. In a way it has validated that I did hear God when He said run. But I know it was still His voice, even if I was writing without a contract. But that first contract helped me make focus as I mad other decisions. A great book by Alex and Brett Harris: Do Hard Things. These two teenagers are amazing. And getting ready to read/review a stack of Complete Idiot Guides as I prepare to write a book for that series this summer. I am finishing a proposal for a sequel to Deadly Exposure…it’s really taking shape. And I’m finishing research for my next World War Two historical tentatively titled A Promise Kept. It’s set in Ohio and will tell the story of a just married couple who opens their home to an evacuated British child in the very early pre-war days. Can’t wait to dive into that book…and I need to since it’s due October 1. I would love to go back to Europe and focus on the World War Two sites starting with Normandy. To have the time to absorb the places that I’ve read so much about would be amazing. I have a feeling it would be like going to Gettysburg Battlefield and seeing the battle play out over the location. The four books that are finished and releasing over this year are all set in Nebraska, my home state. That was a natural since I know the state so well. Ohio kind of chose me and will require some on-sight research since I haven’t spent much time at all there. And, other locations that I know will be settings one day are other places I’ve either lived or visited frequently. Last August we vacationed in North Carolina, and my husband and I kept walking around saying it would be a great location for a book. I would so love to spend time with Margaret Thatcher. I have long admired her – she was a political leader at a critical time and I know I could learn much from the time with her. I’d love to ask a few questions, and then just listen to the wisdom she’s accumulated over a lifetime of service. The other person would be Sandra Day O’Connor. Another woman who broke amazing ground with grace and intelligence. Finding the time. Because I have small children (a 7 ½ year old, 4 ½ year old, and by the time this is posted a newborn) I have to do most of my writing in the evening. Fortunately, Eric is wonderful about helping with bedtime and does most of the bedtime reading. But even so with my ACFW duties and other responsibilities it’s a struggle to find the time to write. I’ve had to give up a couple things like TV. It’s a rare day or night that I watch anything. But deadlines are a great motivator to get the writing done. And I HATE even the thought of missing one. 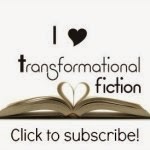 Join a writer’s organization like American Christian Fiction Writers (www.acfw.com). I learned so much about the nuts and bolts of writing. Then attend a conference like ACFW’s. That’s where you’ll meet people, editors, and agents, that can become relationships that lead to contracts. You still have to do the writing and create a page-turner, but the right contacts can then help see that book in print. The national ACFW conference is coming up in September in Minneapolis. I'm teaching a workshop and doing paid critiques. I'm really looking forward to the huge, public book signing in the rotunda of the Mall of America. Cara, tell us about the featured book. Deadly Exposure is my (hopefully) first suspense with Love Inspired Suspense. Krista Stroever took a chance on this book and pushed mey hard. I love the result. It’s my story, but oh-so-much better. Here’s the blurb. How could a killer have struck in a crowded theater? That was the question plaguing TV news reporter Dani Richards. She'd been in the box next to the victim -- and hadn't heard or seen a thing. Now the very man who broke Dani's heart years ago is investigating the murder. And when her coverage of the story led the killer to stalk her, police officer and former flame Caleb Jamison insisted on protecting her. Dani was afraid to let Caleb close again. Yet she had no choice. The killer's sinister phone calls left no doubt that he'd come for Dani next. I worked at a small town TV station for a couple years in college, and loved the chance to resurrect my love for journalism with this book. It’s a fun read, filled with twists and romance. Readers, check out her web sites, but before you go, leave a comment on this post for a chance to win a free copy of Deadly Exposure.